The Mercury Prize judges are all set to deliver their annual nominations, here’s Getintothis‘ predictions as to who’ll make up the albums of the year shortlist. Now in it’s 20th year, the Mercury Prize judges will deliver their 12 albums of the year at 5.30pm on Wednesday September 12, with Lauren Laverne on hand to read out the results. And despite the largely formulaic script, it’s always fun predicting who’ll make the list and who will eventually scoop what many consider the top UK music industry honour. Say it quietly, but there’s a slow yet gradually promising resurgence of UK guitar bands and while there’s a whole wasteland of rubbish still to be thrown into that bottomless landfill pit marked ‘indie’ this year’s Mercury may very well mark a corner turned. 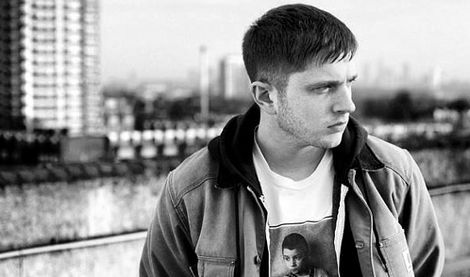 So while the big boys, Noel Gallagher and his High Flying Birds, Kasabian and The Chris Martin Band are all in the running, it’s the new more sprightly offerings from Django Django, Bombay Bicycle Club and The Maccabees which may catch the judges’ ears. Also-rans Field Music, Blood Red Shoes, Dry The River and The Vaccines are outside bets too. The veteran is a Mercury staple – and last year’s industry stalwart, PJ Harvey, was the overwhelming favourite and eventual winner. Don’t expect the same to happen again this year, they like to mix it up do the Mercury panel. Of the artists doing the rounds, you’d imagine the returning Kate Bush would be in with a shout for her 50 Words For Snow album while old ravers Orbital tick several boxes with their first record in eight years, Wonky. However, I’m going to go for 2006 nominee Richard Hawley for his guitar-infused Black Angels-esque blinder Standing at the Sky’s Edge which proved a curveball for fans and all the more reason for the judges to pick it out. That’s not my term, but when a band is dubbed the next Radiohead then you know The Mercury and every Thom, Johnny and Colin will want a piece of them. Alt-J (or ∆ to their mates) have rather bizarrely been handed this confusing comparison – maybe it’s down to the fact the lyrics are pretty odd and Joe Newman sings quiet quietly. Who knows? But they’re the early favourites to win and they gain extra brownie points by being named after a Mac keyboard command – you’d imagine Phil Selway would love that. There’s few obvious selections in laptop land this year, so I’m having a complete stab in the dark with Warp Records‘ Russell Whyte, aka Rustie, for the simple fact that I can’t see 2 Bears or Holy Other or Kuedo getting the nod. The Mercury prides itself on being knowingly cool while retaining that Culture Show high brow feel. And there’s a heap of offerings that could scoop the cool kids on the block accolade. JJ Boom, Beth Jeans Houghton, Actress and former nominees Hot Chip are all contenders, however, I’m going for Adam Bainbridge‘s sax-assisted, post-chillwave, semi-washed-out vehicle for post-modern electro Kindness. What part of this album cover doesn’t ooze Mercury nomination? Since being handed the BRITS Critics Choice award, Emeli Sande has been, whether you like it or not, ubiquitous this year. Her preposterous yellow barnet has popped up on every television event imaginable, even managing umpteen outings at the Olympics Closing Ceremony so much so it’s a sure fire shoe-in that she’s somehow crow-barred into the Mercury 12 much to the bemusement of almost everyone. Jessie Ware has Mercury nomination written all over her. In big bold italicised capital letters. Her critically-adored album Devotion is a sublime, understated, contemporary belter with class and intelligent songwriting. Oh, and it’s produced by former Mercury nominees The Invisible – more on them in a bit. Plan B is another outside choice particularly given that he’s acting and directing and I’m pretty sure the judges love multi-taskers. While she’s not quite Adele, wind turbine Florence Welch is as big in profile as she is in bellow. Headlining festivals, selling bucket loads of Ceremonials while sneakily becoming a favourite with the mainstream music press, Florence And The Machine (Q Mag awarded her album of the year), are guaranteed to shift plenty of those Mercury compilation CDs. That’s if they’re still doing them. For the first time ever, The Mercury will abandon it’s preposterous stance in nominating a saggy fishwife from the Isle of Skye who plays a washboard or a part-time librarian with a masters in improvised polyrhythms. Yup, that’s right, I’m predicting the biggest shock of all, bigger than no Wild Beasts nomination in 2011, THERE’S NO TOKEN FOLK OR JAZZ BODS. Instead, they’ll pick The Invisible again because their album Rispah is not only amazing but has an undercurrent of jazz. Despite being the most bland artist to come out of Britain since Keane, there’s a lot of people – including that BBC Sound Poll thing, that lap up Michael Kiwanuka‘s polished vintage soul-folk audio wallpaper. Nudges out Rumer by virtue of the ‘you will like Emeli Sande if it’s the last thing you do’ selection. 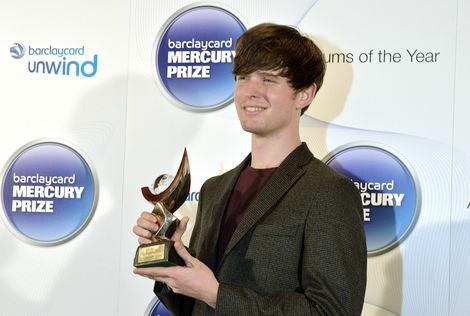 * The Barclaycard Mercury Prize 2012 Albums of the Year will be revealed at 5.30pm on Wednesday September 12. The announcement, made by presenter and broadcaster Lauren Laverne, will be hosted by The Hospital Club in Covent Garden and screened on Channel 4 later that evening. The overall winner of the 2012 Prize will be decided and announced at the Roundhouse on Thursday November 1. Getintothis on the Mercury’s 2010 and why common sense prevailed. Getintothis on the Mercury’s in 2009… and reaction. 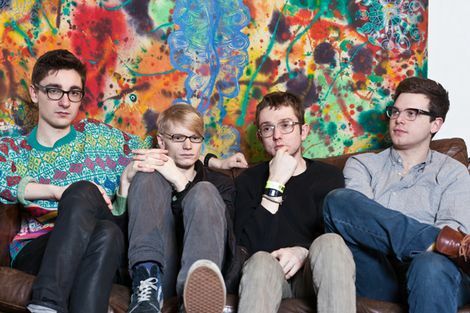 Getintothis on the Mercury’s in 2008. Getintothis on the Mercury’s in 2007 – why bother? and 2007’s worthy winners, not that we were arsed.